Scribble Press is an excellent creativity app that is now free for a limited period of time. Scribble press allows young learners to create their own story books and share them with others. It has a user friendly editor that is easy and simple to work with. Kids will get to write their stories, illustrate them with drawings, add backgrounds and stickers, add recorded audio and music and many more. 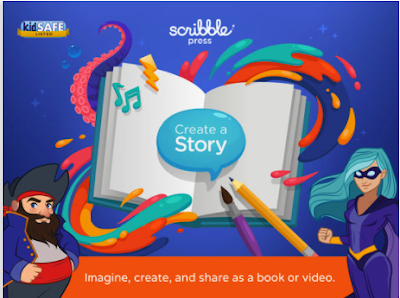 Scribble Press also offers over 30 fill-in-blank story starters and book templates to help unleash kids creative thinking. As a teacher, you can use Scribble Press in class to engage students in various literacy activities. You will have access to ‘a variety of features which allow sharing and presenting of stories.’ Other interesting features provided by this app include: ‘put yourself in the story’ feature, record your own voice, take and cut-out photos, add music to your story and many more. 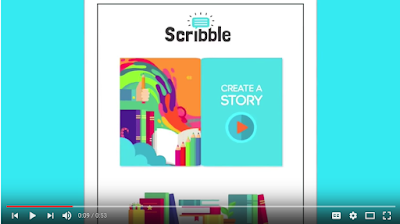 Watch the video below to learn more about Scribble Press.